Spandana Residency provides a comfortable stay to its guests at a pocket-friendly price. 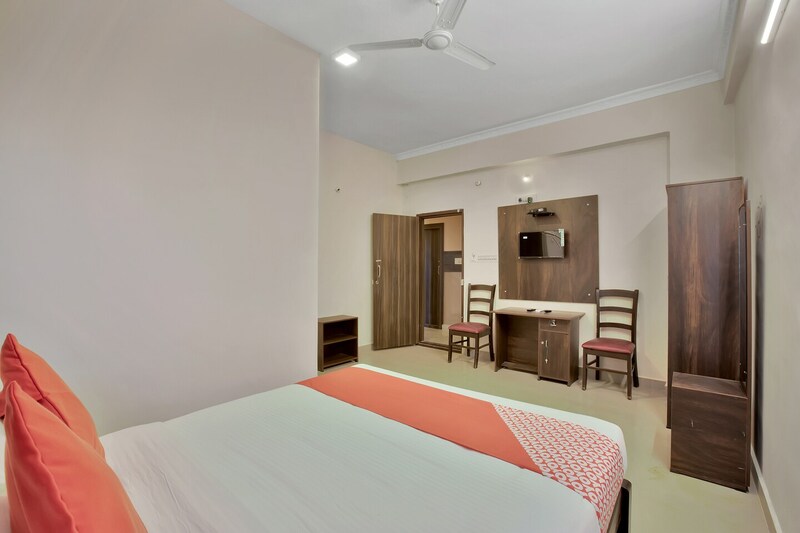 The rooms are simple and cozy with all basic amenities. Guests can access internet for free during their stay. The in-house restaurant offers lip-smacking delicacies, while the bar has some of the exotic drinks. Guests also have access to banquet hall where they can organise a party or an event. Parking space, power backup and laundry service are some of the additional facilities. The premises of the hotel are under the CCTV surveillance all the time in order to ensure guests safety.